Some of the World War I hand weapons displayed at the Memorial de Verdun. 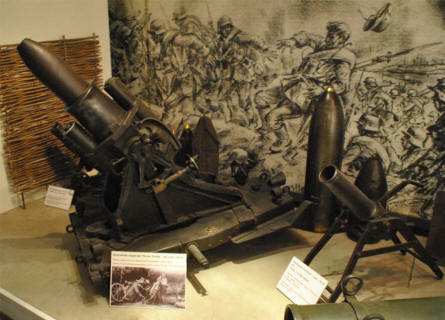 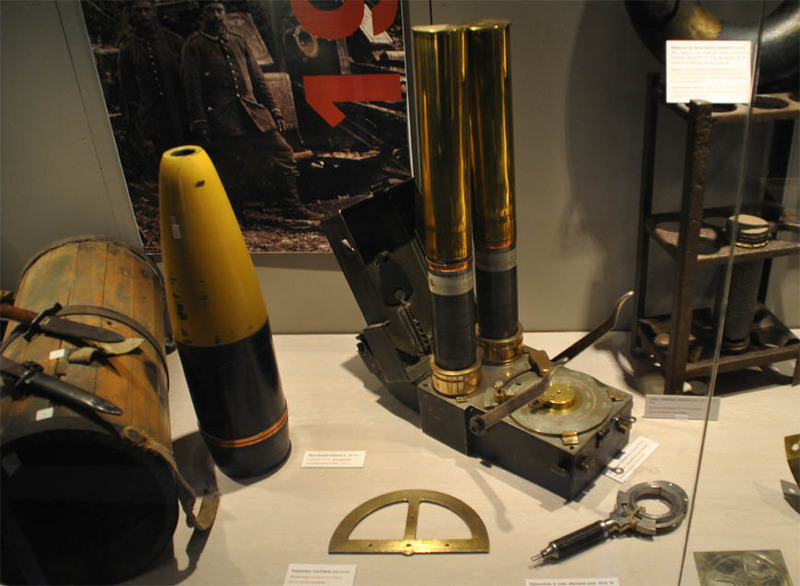 World War I grenade launchers displayed at the Memorial de Verdun. 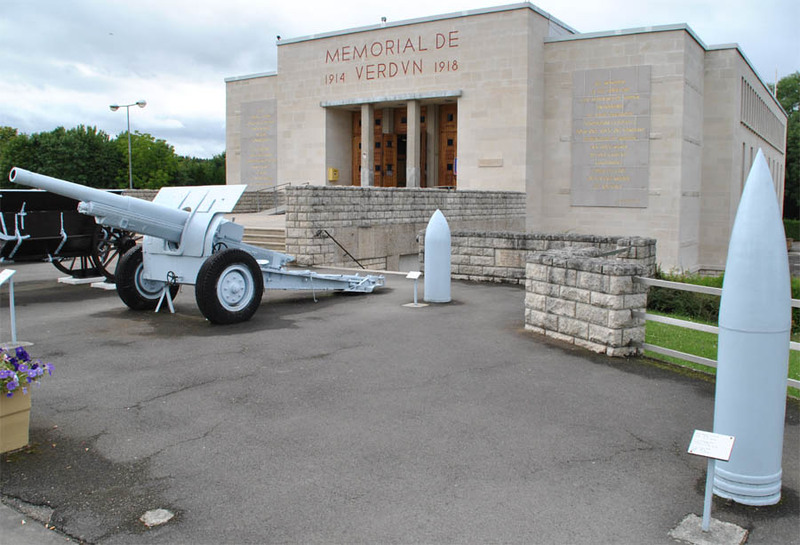 Some of the World War I Artillery equipment displayed at the Memorial de Verdun. 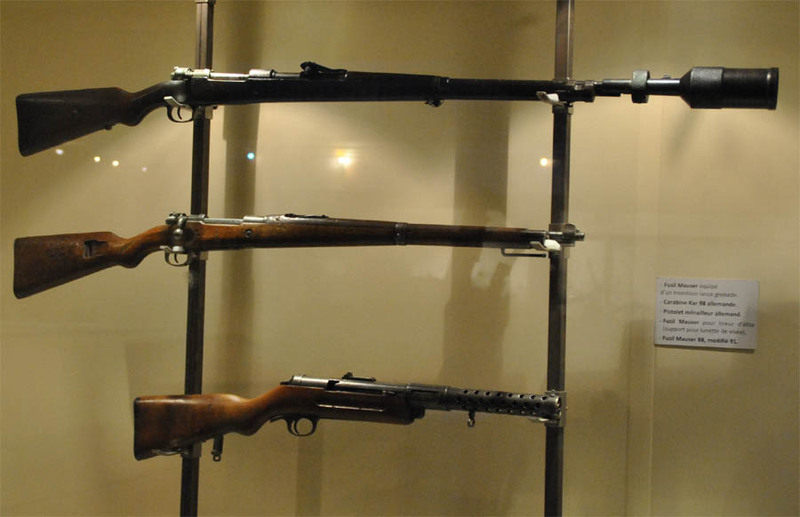 World War I rifles and a sub-machine gun displayed at the Memorial de Verdun. The entrance to the Memorial de Verdun. 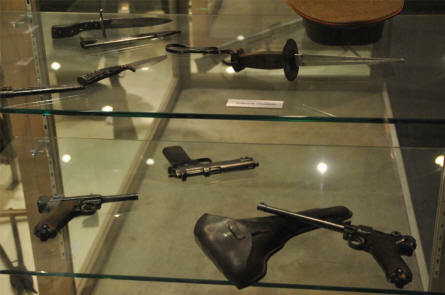 A huge part of the museum is at a lower level - and therefore not be seen on this picture. 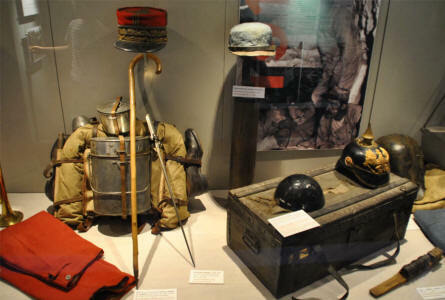 French and German World War I helmets and other equipment displayed at the Memorial de Verdun.